Finance: In this area our work on the Financial Benchmark is well-known. Here again, advising individual companies on business administration, cost price and calculation is an important part of our work. Strategy Management: Mostly our work on this subject is tailor made. A strategy plan or a business evaluation concerns a single company and it is practically impossible to derive general features from this. ENVIROS, s.r.o., is a leading consulting company providing assistance mainly in the field of energy, environmental and business consultancy in the Czech Republic, Slovak Republic, Central and Eastern Europe, but also other parts of the world. 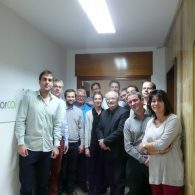 The majority stakeholder of ENVIROS, s.r.o. is the international Sinclair Knight Merz (SKM) consulting group. 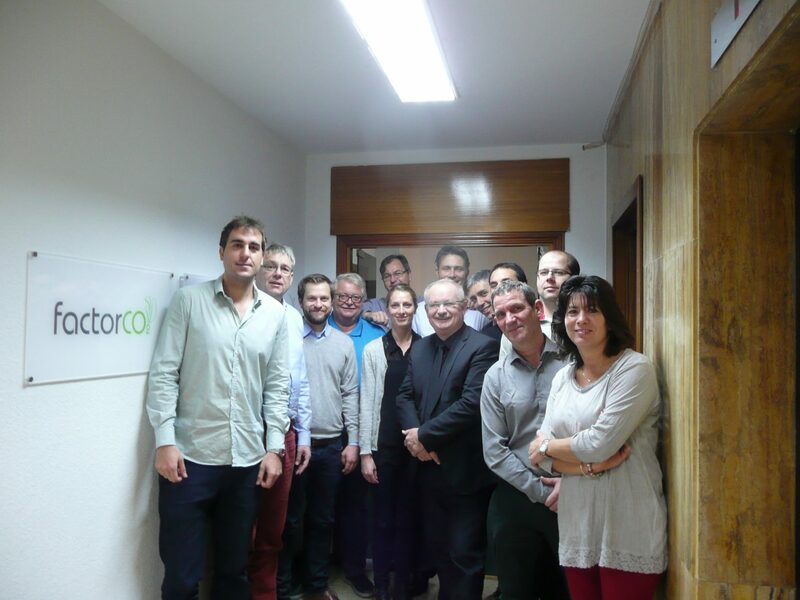 ENVIROS, s.r.o.employs 30 permanent qualified experts and more than 30 free-lance experts of diversified experience and background. The company employs 10 energy auditors authorised by the Ministry of Industry and Trade. Energy Performance management, incl. verification and measurement of savings - mainly for industry and public sector buildings. Support for facility management, introduction of energy management systems into industry and large buildings. Promotional activities and training in EE and RES - projects development, energy management and its introduction. ENVIROS, s.r.o. has been co-operating with a wide range of clients and partners from international and multi-country institutions, including the United Nations, European Commission, EBRD and the World Bank, and run several projects within the EC Programmes (Intelligent Energy Europe, 6th / 7th Framework Programme etc.). National clients include state institutions like the Ministry of Industry and Trade, Ministry of Environment, State Environmental Fund, regional and local authorities, financing institutions, and other both industrial and tertiary sector clients. The international climate change consultancy firm Factor (www.wearefactor.com/en/), is well recognized for its knowledge on developing and applying climate change policies, mitigation and energy efficiency assessments. This can be verified from Factor involvement with local, regional and national energy and climate change plan of actions, projects and programmes directed at clients from the private sector, as well as public authorities from developing and developed countries. Staff of over 25 professionals, located in the company’s different offices, located in Spain, Italy, Mexico and Thailand. The company has developed different eco-efficiency tools, quantification of energy savings and GHG emissions reductions through energy efficiency measures in different sectors and GHG scenarios models. Factor Ideas, focused on the assessment and design of climate change mitigation projects and policies; institutional capacity building; cost benefit and cost efficient analysis; carbon footprint management; GHG emissions estimation, projection and reduction measures and GHG emissions inventory and scenarios development for key economic sectors (water, transport, solid waste, energy, residential, industrial, commercial, agriculture, LULUCF and forestry. Analysis of solutions for reducing energy consumption. Prioritization of options from cost-effectiveness studies. Design of energy efficiency action plans. Energy management systems under ISO 50001. Energy coaching and energy auditing. Energy management in spatial planning and urban development for resilient cities. Green buildings and energy certifications. Studies of wind patterns and/or solar radiation to ascertain renewable energy potential in diffe­rent regions. Tools to promote renewable energies. Feasibility studies for project implementation. Grakom (Graphic Association Denmark), Denmark ,is the principal organisation for Danish graphic companies composed by graphic production companies producing printed and electronic products. Grakom employs 30 people in four main areas: The environment (6 employees, 5 of them has a master of science), communication, legal support, training and finance. Grakom functions as a service, sector and employers’ organisation. During the past 17 years Grakom has offered consultancy on a wide range of H&S, energy and environmentally areas, and has in particular worked with these subjects in the light of a life cycle perspective during the last 10 years. Grakom´s environment department has done several LCA and other more vertical eco-techniques projects during the last 15 years together with the Danish EPA on printed matters (The offset techniques for bookprinting) and is the main developer of the new launched carbon calculator, ClimateCalc. Grakom has further more been the Danish expert (pointed out by the Danish EPA) on eco labelling and printed matters. INNOWISE is a research & consultancy company with special expertise in innovation management, knowledge & technology transfer. Customers from industry are mainly SMEs of the ICT-/Media and digital economy and the food industry. Previous project experiences are focussed on knowledge & competence management for the development of innovative products and services, in technology transfer activities on the national and international level as well as in incubating and implementing collaborative R&D projects between science and industry. innowise has around 10 employees with an interdisciplinary background. innowise has participated in a multitude of R&D projects as well as consulting projects on the European and national level in Germany. The printing and media industry is one of the core fields of activity in terms of research, consultancy, training and knowledge transfer. Special focus is on SMEs of this sector. Innowise is a certified company to carry out the so called PIUS-Check in Germany. PIUS stands for Production Integrated Environmental Check demonstrating where and how a company can save energy and resources. Basis is an analysis of the relevant material flow as well as the state of the art in production. The outcome of PIUS checks helps to optimize material and energy consumption. Based on resources cost accounting Innowise helps to enrich and complete planning and cost accounting systems by providing a holistic view on resources consumption and evaluating relevant processes. Outcome of RKRs are concrete measures to increase resource productivity and process efficiency in company’s business. The objectives RMVC is to realize inter-organizational resource management and more transparent processes along the value chain, the optimal use of resources and successful partnerships with suppliers and customers. Outcome of RMVCs are concrete points and optimization measures for resource savings in a company’s value network. With the EcoCockpit tool Innowise provides key data and information on product-, process-and site-related CO2 emissions. Outcome of EcoCockpit analyses are the need for action and concrete measures to reduce CO2 emissions. With the maintenance check, Innowise provides appropriate sustainable strategies and measures for the optimization of a company’s internal maintenance. The technical risk analysis helps to systematically identify and assess technical and economic risks and to derive optimal maintenance activities. The outcome of TRAs is more value-added and resource efficiency by a professional maintenance. AIDO – Industrial Association of Optics, Colour and Imaging is a non-profit industrial research association made up of about 500 businesses related with the industrial application of optic technologies, whose aim since 1988 has been to increase competitiveness through research, development and technological innovation, thus boosting market expansion and improving process and product quality. The variety of applications of the technologies developed by AIDO creates technological and innovative solutions for the industrial sectors of Graphic Arts and Media, promoting the competitiveness, including the implementation of best practices in the field of environmental management and industrial organization. The association develops different kind of activities focused on the Graphic Arts and Media sectors through regional, national and international R+D projects and technical assistance. These actions are executed by specialized technicians, with a high expertise in these sectors and with a heterogeneous experience what allows to cover the main needs of the Graphic Arts and Media companies. In the field on environmental improvement of the Graphic Arts and Media AIDO has developed projects and services related to Environmental Management Systems, Ecodesign Management Systems, Best Available Techniques, Environmental Assessment and Improvement Plan, including the determination of energy efficiency measures.